Going green seems to be the thing for companies to do these days. All the natural resources on our beautiful planet are starting to show significant drops. It is estimated that in South Africa alone there are over 407 000 fax machines which are on 24 hours a day. Even if your machine is on standby the CO2 emissions are massive. Something like 20 000 tonnes of CO2 are generated. In laymen’s terms and in kg’s each fax machine is producing 30.7kgs of carbon emissions every year that equals 124,949,000 kg’s every year in South Africa alone. The effects are clearly significant. Also the amount of trees that are being cut down for paper is an astronomical amount. The research done has shown an average of, 3,735 pieces of paper are used in a single fax machine per annum and each fax is copied at least once, South Africa is using over 300, 000 trees just for faxing and copying each year, the final statistic I’m going to give you is 1.5 thousand acres of trees are used every year for a fax service. That’s where Fax FX comes in. The service is digital – meaning that faxes and emails are linked. You can receive a fax on your email account and forward them to anywhere and anytime. There is no reason to waste paper, toner and ink anymore. All you need is internet access and a smart phone or a tablet or an iPad and you’re sorted. 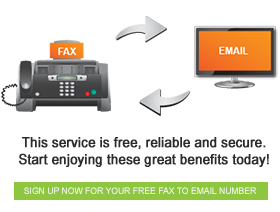 Go green with Fax FX and get a reliable and secure service for free.